I read this article and found it very interesting, thought it might be something for you. The article is called 6 Mistakes To Avoid When Doing the Ketogenic Diet and is located at https://trustworthyfitness.com/6-mistakes-avoid-when-doing-ketogenic-diet/. The ketogenic diet is undoubtedly one of the most popular diets available. People who follow it swear by it, with many claiming to have lost significant weight using it. Like any diet, the keto diet requires some care and precision if you want it to work. Because it requires careful tracking of micronutrients, it’s easy for beginners to make mistakes that can impact the diet’s effectiveness. In this article, we’ll review 6 of the most common mistakes people make on the keto diet and explain how to avoid them. The keto diet is a high-fat, low-carbohydrate diet that was originally designed to help treat seizure disorders like epilepsy. It is predicated on the fact that the body has two primary dietary sources of energy: carbohydrates and fat. It will burn carbohydrates when they are available, but your brain prefers to use fat as an energy source. By limiting dietary intake of carbohydrates to as little as 25 grams per day, the keto diet forces your body to burn fat for energy. If you also limit the total calories you take in, you can put your body into a state known as ketosis. Ketosis is a metabolic state that causes your liver to transform fat (both the fat you take in and stored fat) into ketones, which your brain can then use as energy. Since your brain constantly needs energy, being in a true state of ketosis means that your body is burning fat around the clock. The high protein version of the diet decreases the fat to 60% and ups the protein to 35%, leaving the carbs alone. There are alternatives that cycle through high carbohydrate days, but they are less popular and haven’t been studied to the same degree as the standard diet. Now that you understand what the keto diet is and how it works, let’s review the most common mistakes people make when they’re on it. We’re putting this mistake first because it’s not just a common mistake on the keto diet, it’s one of the most common mistakes on any diet. One reason may be the widely-accepted standard of drinking eight, eight-ounce glasses of water per day. It may surprise you to learn that the recommendation of how much water to drink varies on your weight and activity levels. It makes sense that weight would factor in because it does with calories, too. A heavier person is going to need more water than one who weighs less. Some experts on the keto diet recommend taking your body weight in pounds and dividing it in half to determine how many ounces of water you should drink per day. That would mean that a 200-pound woman trying to lose weight with the keto diet should drink 100 ounces of water per day. Water helps your body flush excess ketones out of your system. It also improves satiety, moderates your body temperature, and lubricates your joints. A better solution is to gradually curtail your carbohydrate intake over time. Instead of eating bread, pasta, and cereal one day and cutting down to 20 grams of carbs the next, try cutting down a little bit each day over a week or so. That way, your body can adjust and you’re less likely to be irritable and hungry when you start the keto diet. Because the keto diet is high in fat, it’s common for people to assume that all fat is created equal. However, that’s not the case. Saturated fat – the kind of fat that comes from meat and dairy products – has an inflammatory effect on the body. It’s also associated with heart disease, high cholesterol, and high blood pressure. A 2018 study in the journal Diabetes concluded that saturated fat is more harmful, metabolically speaking than either simple sugar or unsaturated fat. However, Omega-3 fatty acid, which is found in cold water fish like salmon, trout, and mackerel as well as in plant sources like flax and chia seeds, has an anti-inflammatory effect on the body. 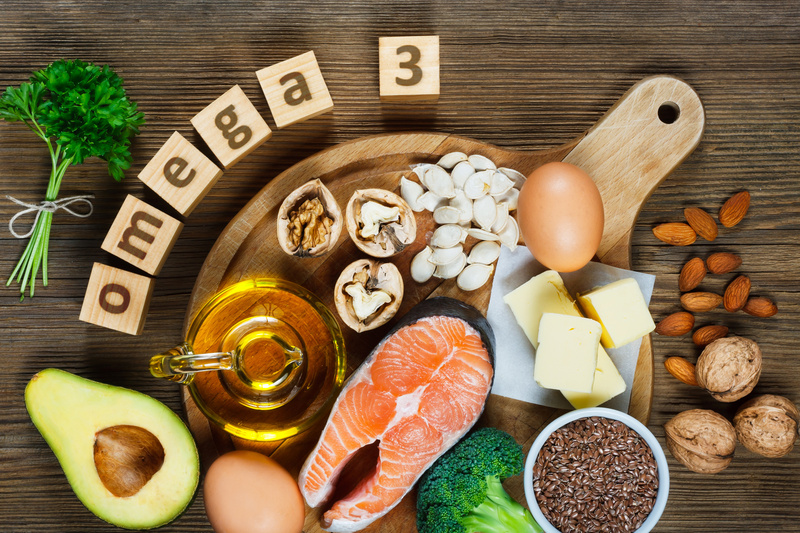 A 2018 study in JAMA Cardiology found that an increased intake of Omega-3 essential fatty acid was inversely related to both mortality from cardiovascular disease and general mortality. The solution? Make sure to include plenty of cold-water fish in your diet. If you’re following a vegetarian or vegan diet, seek out vegetable sources of Omega 3. You can find a good list here. It might sound strange to say that it’s a mistake to pay too much attention to carb counting when you’re on a diet that limits carbs like the keto diet does. However, it’s possible to get your carbohydrate count right and still not get the results you want from the keto diet. The first thing that may happen if you focus too much on counting carbohydrate grams is that you might end up eating the wrong kinds of fat. (Remember what we said about saturated fat versus Omega-3?) The result can be inflammation and an increased risk of heart disease. Another possibility is that you might end up eating too many calories overall. That’s because a gram of fat has nine calories, while a gram of carbohydrates has only four. If you simply avoid foods that are high in carbohydrates by overcompensating with high-fat foods, you may end up taking in far more calories than you need in a day – and gaining weight as a result. The solution? Try using a calorie-counting app like Lose It to track what you eat. If you pay for the premium version, it will even break down your macronutrients for you so you can make sure you stay on track with your keto plan. One common side effect of the keto diet is constipation, which can occur if you drastically reduce your fruit and vegetable intake to avoid carbohydrates. The truth is that while some fruits and veggies are high in carbohydrates, you still need plenty of food with fiber to aid your digestion and make sure you don’t get backed up. You can find a longer list that includes both carbohydrate and fiber information here. It is important to stay away from high-sugar fruits like pineapple and bananas. You can minimize the keto flu by weaning yourself off carbs as we mentioned earlier in this article. Drinking plenty of water also helps, as does getting enough sleep. If you do experience keto flu, remember that the symptoms usually last no more than a week, after which you can expect to feel healthy and full of energy. The keto diet is popular for a reason. There’s plenty of research to prove its effectiveness for weight loss, and it can also help to combat chronic inflammation. 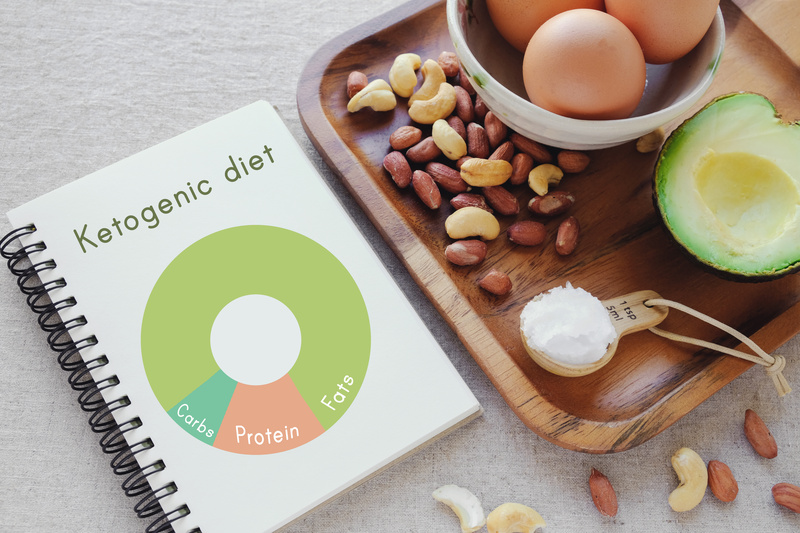 The key to losing weight on the keto diet is to focus on eating a diet that’s healthy overall, one that’s high in Omega-3 fatty acid with minimal saturated fat. Stay away from heavily processed meats like bacon and sausage, and get your fat from fish, nuts, and seeds instead. If you eat dairy, look for products made from pastured cows, which has less saturated fat than products from factory-raised animals.